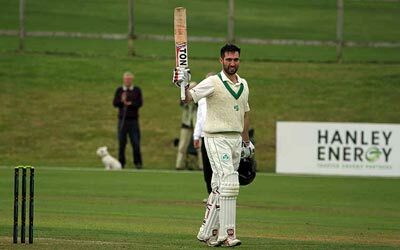 Ireland flew out from Dublin to compete in a Quadrangular tournament in Oman in February, and play a nine-match, multi-format series against Afghanistan in India starting on 21 February. Three players spoke about the tour challenge ahead. This is the first multi-format tour Ireland will undertake that crosses the three formats – over the next seven weeks the squad will play six Twenty20 Internationals, five One-Day Internationals and one Test match (Ireland’s first overseas Test match). Prior to leaving, Andrew Balbirnie, Andy McBrine and Lorcan Tucker spoke about the tour. Andrew Balbirnie, the 28-year old top-order batsman who plays for Leinster Lightning and Pembroke Cricket Club, made his international debut in 2010 and has 86 caps for Ireland. He said: “Everyone is just raring to go now and get some competitive cricket under our belts. In the last few months some of us have been doing a lot of indoor work at North County, and we've been in the gym at the Sport Institute here in Dublin. A few of us were also fortunate to go to Bangalore for a 10-day batting camp before Christmas, and it was good to see that some young guys coming into the squad from the Wolves tour. “I think these younger guys will help inject some fresh enthusiasm in the squad – not that we didn’t have that, but they’ll be coming in and throwing their bodies around, wanting to really earn that first cap. We were all in that position, so we know what it's like - they had a good tour of Sri Lanka, and while results didn't go their way a number of players put their hand up and earned this selection - people like Lorcan Tucker, Harry Tector and Shane Getkate. Even if they don't get the game time they want, it will be good for them just to be around the senior squad. It'll be exciting to see how they get on. "As a batsman my main goal is obviously to get runs - as many as possible across all three formats. I think we've only been on one multi-format tour before in 2017, so we have to develop the mindset to be able to change thinking in a short space of time. Our goals are around winning some T20s, particularly in this big year with the World Cup Qualifier ahead, being competitive in the one-dayers as we were last year, and to maybe win the Test match - we really want to win a Test sooner rather than later, but Afghanistan will be tough in those conditions with the spin bowlers they have. "I am hoping the Test goes better for me personally – but it will be a different scenario to our first Test at Malahide. The home Test match was such a great feeling for everyone - the players, Cricket Ireland, our families and friends. This Test won't have the same sort of buzz around it, but rather it will be just a real hard fought five day match in tough conditions. We've got that first Test match under our belts – we know what it’s about, we know what it feels like to play at that level - now we just now have to go out there and get some good results. "This will be my first time to go to Oman, it's always good to go somewhere new and experience all the different things about a new country. Conditions are expected to be much like those in Dubai - hot and dry, slow enough wickets that are favourable to spin. “The T20s on this tour will also be great for Stirlo [Paul Stirling] as our new stand-in captain. He’s our most experienced T20 player, has played in all sorts of T20 competitions against some quality players, under brilliant captains. He's not a big talker in the change room, I imagine he will be more a leader who does his talking on the field, which is a good attribute to have - he's a good mate and I am looking forward to see how he does with it." 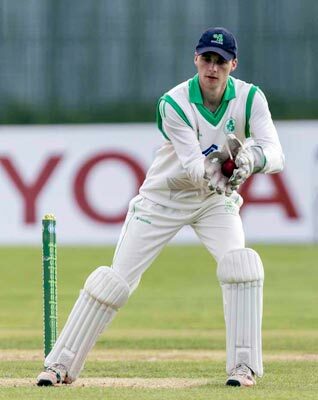 Andy McBrine, the 25-year old right-arm off-spinner who bats left-handed, captained the North West Warriors to victory in 2018 in the Inter-Provincial Championship and plays club cricket for Donemana, made his international debut in 2013 and has 64 caps for Ireland. He said: “We've obviously had a bit of snow back home this week, so it will be nice for us to get out there to Oman and get a bit of sun on our back, and get training outdoors ahead of the series. I was lucky to be playing club cricket for 11 weeks out in Australia pre-Christmas, and saw some competitive cricket and got loads of training in. Since Christmas, however, it has been mainly training at Bready indoors - which has been quite cold! "I haven’t been to Oman yet, but I’d suspect they’re pretty similar conditions to Dubai. It should take a bit of spin, which is quite useful for myself. While over the next seven weeks I'd like to take as many wickets and make as many runs as I can, how I can help out around the team is probably the most important thing. "Stirlo [Paul Stirling] as stand-in captain is great. He is probably our most experienced T20 player, and has played in a lot of tournaments - so he'll be able to draw on having played a lot of T20 there which he has picked up along the way. I'm looking forward to seeing him in the role." 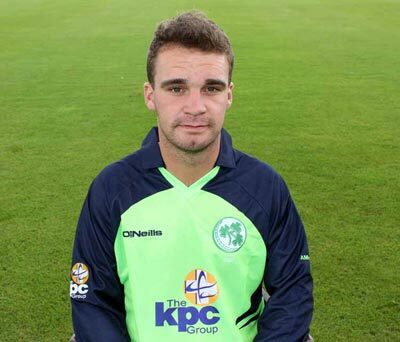 Lorcan Tucker, the 22-year old wicketkeeper batsman, who recently starred on the Ireland Wolves tour of Sri Lanka, made his international debut in 2016 and has 4 caps for Ireland. He said: “I'm absolutely delighted to be going on the tour – while I have four caps already, this experience will be completely different being part of the T20, one-day and Test squads. It will be difficult but I'm really looking forward to it - Oman and India will be two exciting places to go. “Personally, I just want to improve my game every time I go away, just improve on the little things. It’s not my first trip to india, I was there two years ago with the senior squad for a couple of T20s against Afghanistan, so I’m looking forward to going back and seeing the country again. Tucker had returned from Sri Lanka on Thursday morning as part of the Ireland Wolves tour, and was back at the airport 48 hours later. With every long tour, players have some down time to deal with, so how will each player deal with spare time they have on the tour? McBrine: “Hopefully there's a few golf courses out there to play - that's my pastime." The squad arrives in Oman today, then will spend time training and acclimatising to conditions ahead of their first warm-up game on 9 February.